New PhuttBuckit Island Adventure Catalog iOS Stickers are available for download! 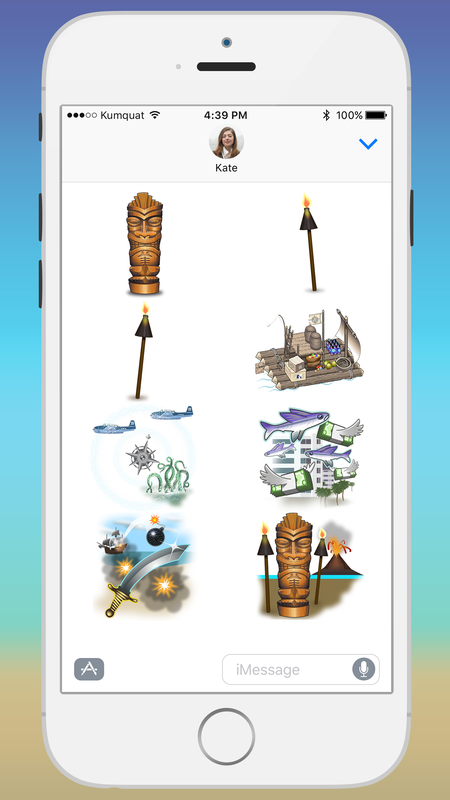 Express your exotic and adventurous personality with Island Adventure Catalog iOS Stickers. 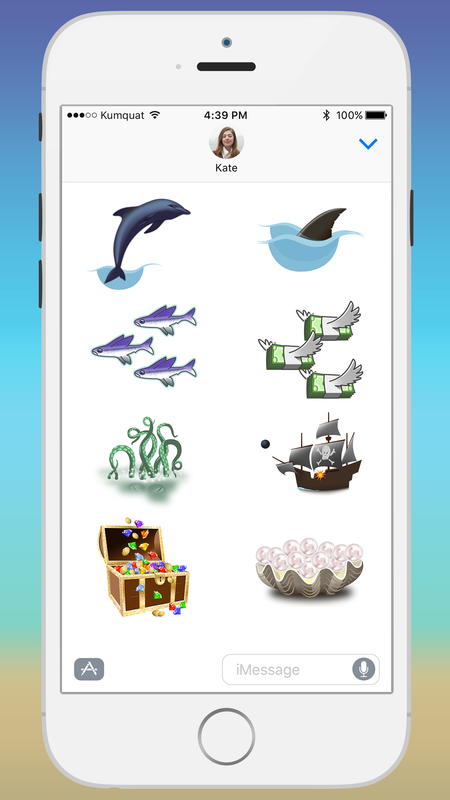 Pirates, ships, sea monsters, treasure, gems and coins, tikis and torches, exotic and mysterious adventure scenes, unique emoji’s, and more can all be yours to share with your friends. Includes PhuttBuckit Island Adventure game and character themes, plus new stickers from the legendary Adventure Gear Catalog featuring the finest Adventure Gear on the planet. Send individual island theme stickers. Add animation to your conversations. Build exotic beach or adventure scenes. Decorate photos to give them a tropical twist or swashbuckling bravado. Let your imagination flow with this fun sticker pack. 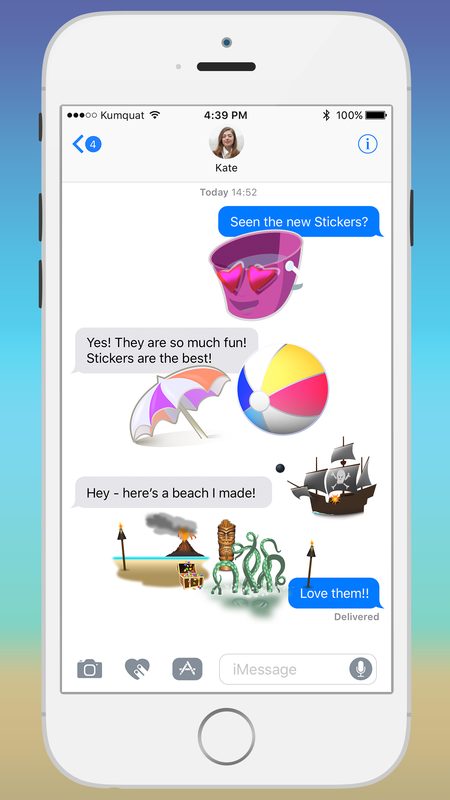 Includes more than 80 stickers for customizing your messages. Put a little more fun and adventure into your messages today with Adventure Catalog Stickers. What’s New in our iOS Stickers? Features more than 40 bright and shiny new gear and game stickers (80+ total) from the Adventure Gear Catalog and the latest All Island, Endless Summer release of PhuttBuckit Island Adventure, the game where you hone your skills to collect adventure gear, win prizes, and venture across 10 island worlds. Check it out! 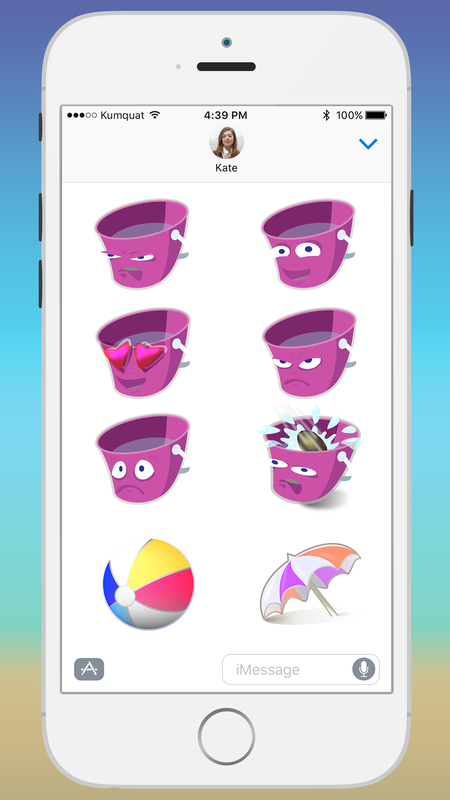 We now have more than 80 stickers and many new animations. Get some iOS Stickers today!